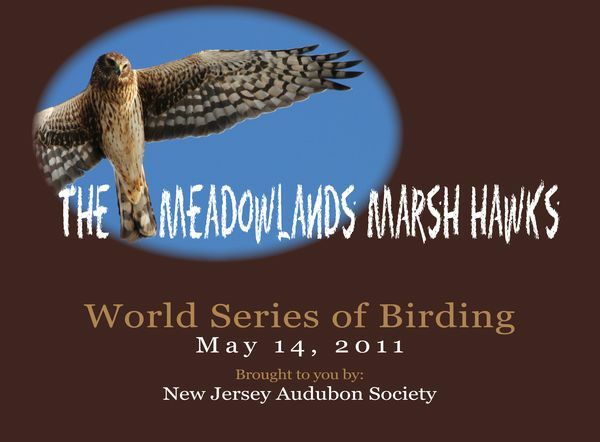 From Mahwah to Norh Arlington, the Meadowlands Marsh Hawks combed Bergen County for birds during today's World Series of Birding. At nightfall, they had a preliminary total of 127 species, including some surprising ones. We hope to print a full list next week, along with a few more photos and a link to a major newspaper article. We'd also like to thank everyone who donated to the Marsh Hawks. 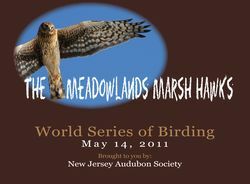 The money will go to bird research (and education) in the Meadowlands, and it is most appreciated. And yes, the Marsh Hawks not only saw more than one Marsh Hawk (Northern Harrier), they even got a Gray Ghost. Help the Marsh Hawk Team! 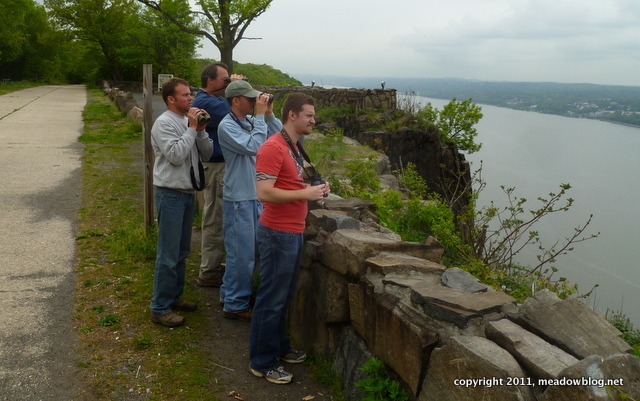 Just a reminder: The Meadowlands Commission has fielded a great team for our first foray into the World Series of Birding, on Saturday, May 14, and we could use your help. 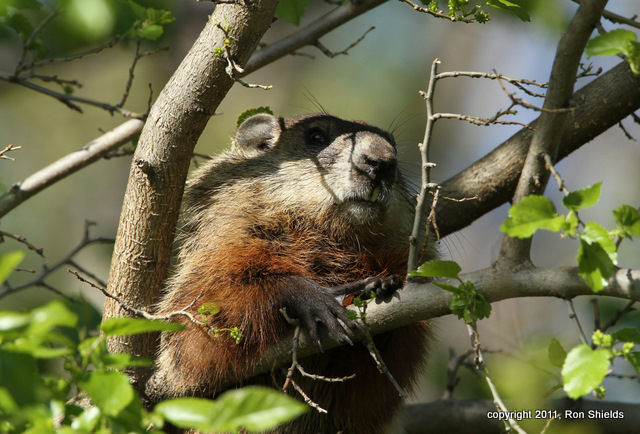 I found this guy up a tree in the Lyndhurst Nature Reserve Monday afternoon. Maybe he's an avid birder getting a closer look or maybe he's waiting to pounce on unsuspecting photographers. If I remember correctly, this fellow might have been the subject of a Tuesday Teaser last year.